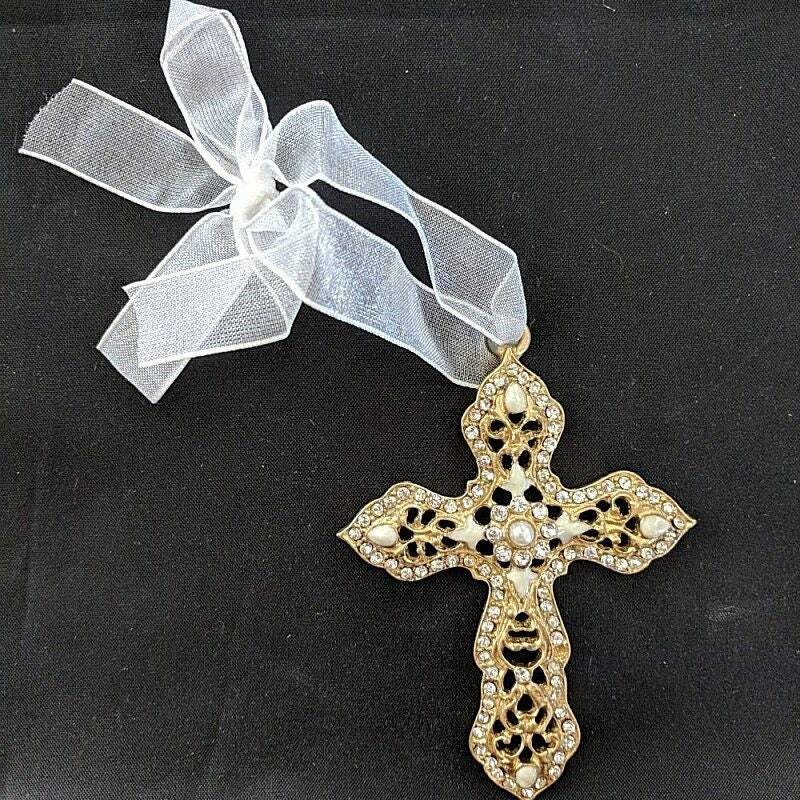 This listing is for an ornate cross with clear crystals embellishments and a pearl cab center. 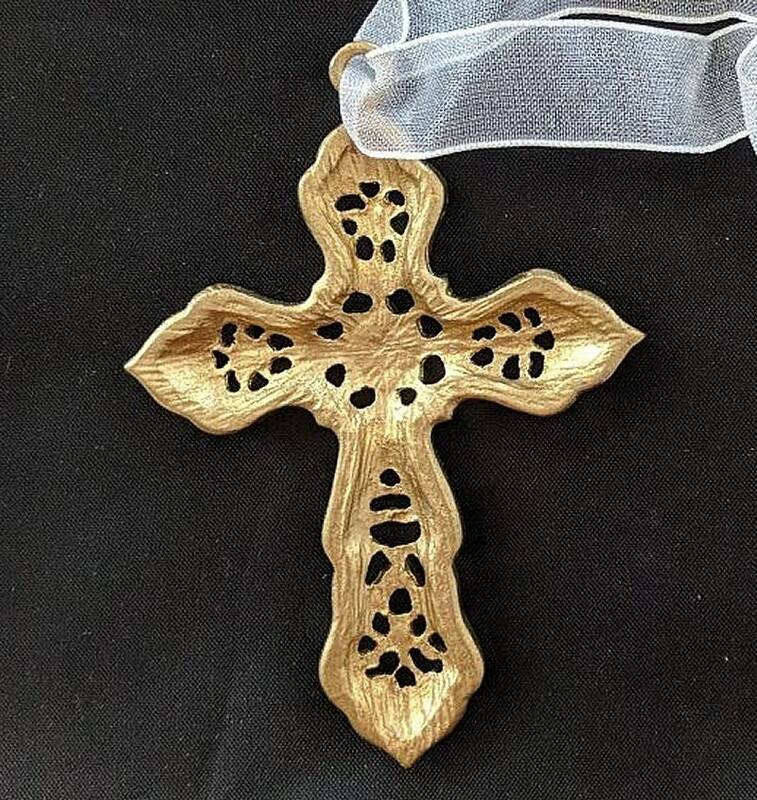 It is gold plated and has white enamel accents. 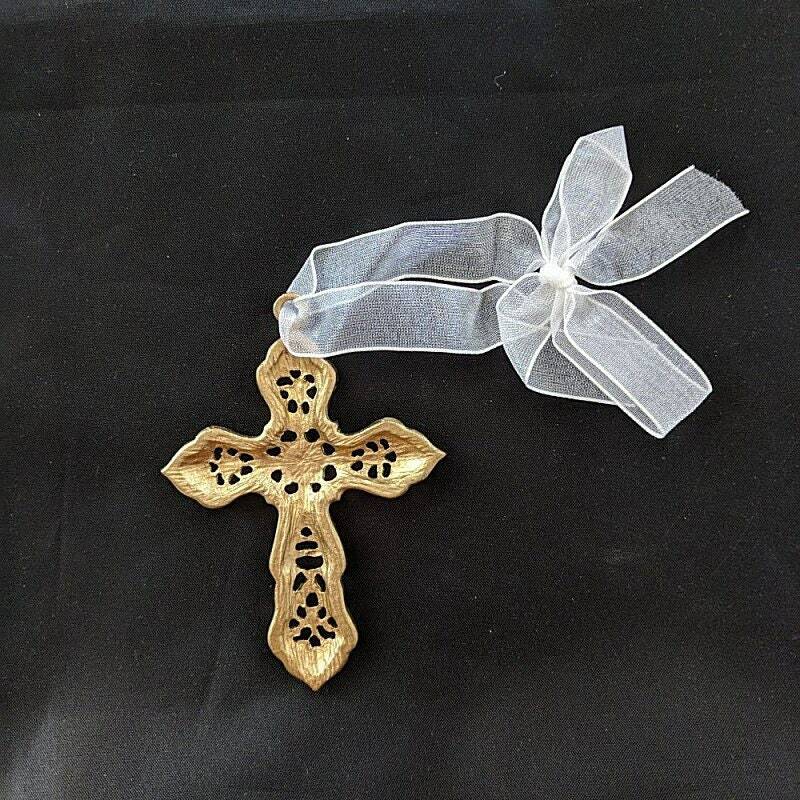 Overall the cross measures approx. 3" in height and 2 1/4" in width. 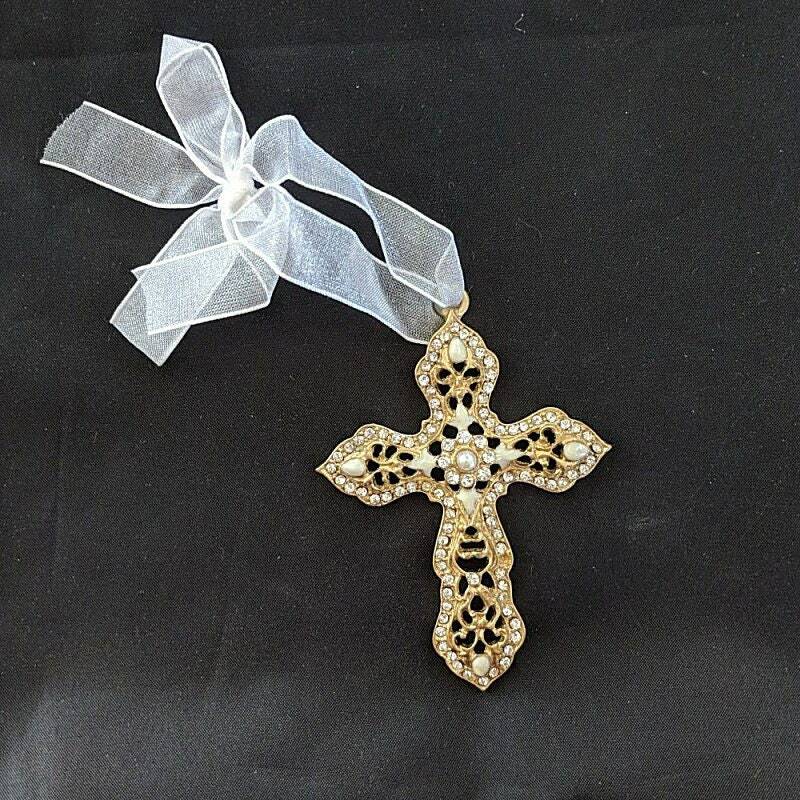 The perfect pendant for hanging from a ribbon or chain for a necklace that makes a Victorian fashion statement. 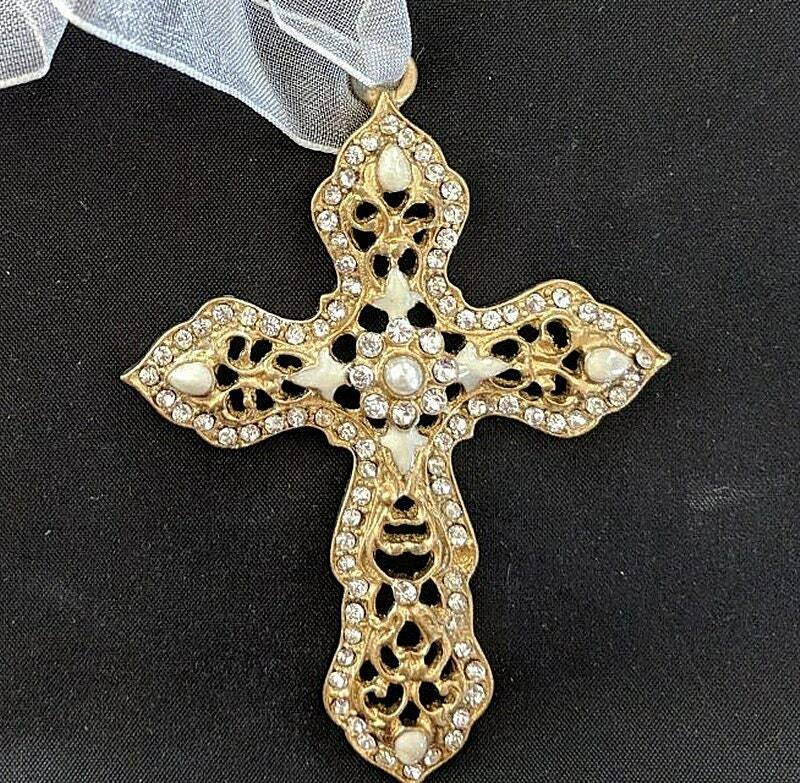 Cross only! 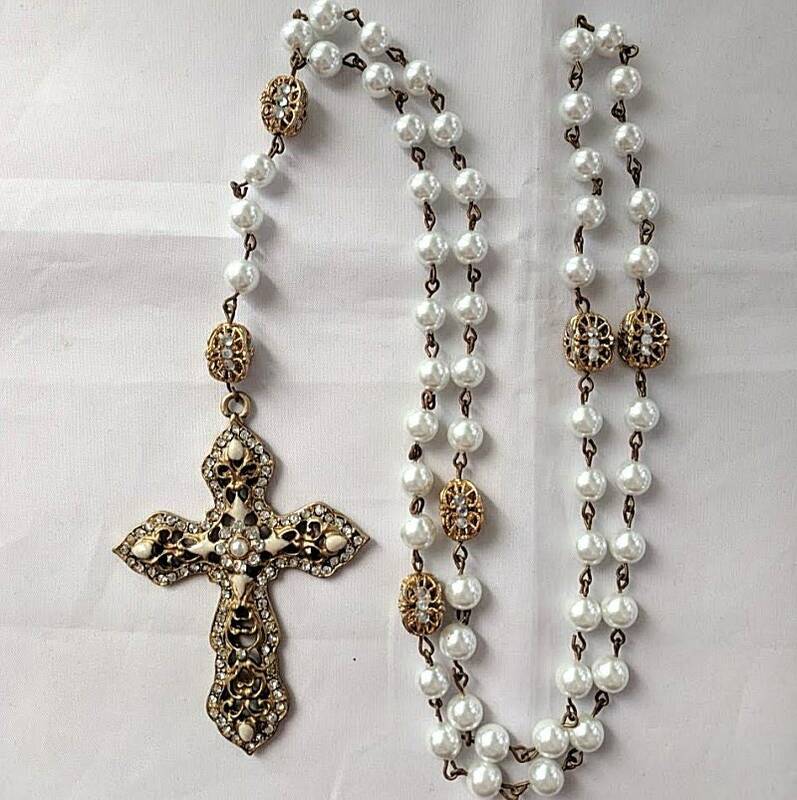 We used one for making a Renaissance rosary which is shown in the last picture.